Set your property up for open home success with these simple tips. Yes, it’s Captain Obvious, but you’d be surprised. Make sure your whole property is neat and tidy when buyers arrive, including the garden and outside areas. Dust, vacuum, scrub, wash, buff – make all those annoying tasks earn their keep. Don’t forget to clean inside ovens, cupboards and wardrobes, in case potential buyers indulge a snoop. Remove shoes from the entrance and any hazards people might trip over. 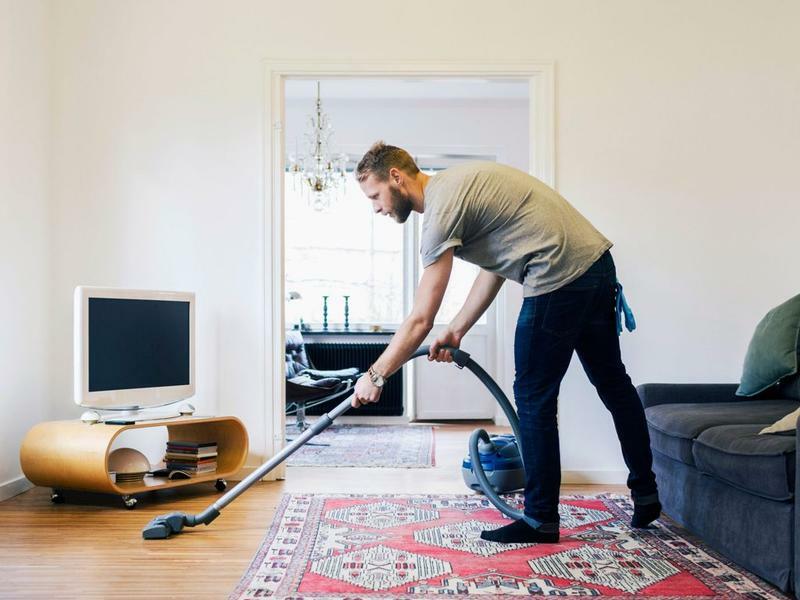 Get the big clean out of the way in advance, then keep your place in good condition while your place is on the market. That way you should only need a refresh to prepare for a new inspection date, rather than a top to bottom makeover. Clear out the mailbox and get those rubbish bins emptied and ideally, out of sight (especially if they’re normally one of the first things people will see arriving at your home). Air out your home thoroughly before the inspection, so it feels as fresh and clean as possible. If potential buyers feel stuffy they’ll head straight for the door. If the weather and security permits, crack open a window or two during the inspections themselves, so air keeps flowing through. Fresh air is always best, but if it is too hot or cold, always use your air-conditioning to make the house a perfect temperature for the buyers. Draw back curtains and blinds to bring in as much as light as possible and show off your house from the street. Turn on every light in the house including the entry, pantry, laundry, toilet and bathroom. It is also good to turn on all the fans on a low setting. You don’t want to blow everyone away but it is always best to have a slight breeze to add movement to the room so that it isn’t to still or stale. It won’t cost much to run all the lights for a short period of time and the agent will always turn them off when they leave the open home. The brighter you make your home feel, the better. No buyers want to buy a dark and closed up house and you only have 30 minutes or so to impress them. Viewers will often be able to tell if a pet resides in the property. One of the most common complaints from potential buyers at open for inspections are those tell tale signs you share your home with someone furry. If they’re not yours, pet smells or stains can actively turn someone off your property. Deodorise your property to remove the whiff of little creatures and get someone who doesn’t normally live there to confirm you’re clear (you might be used to it and can’t sniff what others can). Clean traces of hair from floors and furniture, stow feeding bowls and toys. Remove any litter boxes or droppings from the yard, and give your pets a vacation during inspections. Don’t be afraid to let a little of your personality shine through. A personal touch here and there helps your home feel less stagey or artificial and can spark an emotional connection with a buyer. One idea is to gather up photos that show off your house (at its best, of course) and put them in an album for people to flick through if they’re curious or inspired. If you don’t have printed photos, you could have an iPad or digital photo frame on rotation. Fresh flowers are another way to add personality, or a small dish of sweets near the door that people can grab on their way in or out. Remember, it’s not about mints on the pillow, it’s about keeping humanity in the home. Air fresheners can help mask a horrible scent. People fuss over the visual but often forget that it’s a nose can make or break an open inspection. Remove smells that are unpleasant, like stinky shoes and watch out for specific food smells that may not agree with everyone. Counter the ick with inviting smells using flowers, candles, air fresheners or even freshly brewed coffee or freshly baked cookies. Any homely smells allow the buyer to picture themselves in the home. Just take care your smell engineering doesn’t become too sickly or overpowering – and avoid pungent aromas like incense. You want your property to smell like a home, not a perfumery! If you are going to use a scented candle, some good scents are the more natural ones like sandalwood or ocean breeze. Keep an eye on the weather and heat or cool your home so it’s optimal when would-be buyers walk through. If you leave this job for the agent to do, they will only turn on the air-con when they get there so this isn’t enough time to cool or heat up the house. People shouldn’t raise a sweat or a chill, and you need to demonstrate your property can effortlessly cope with the climate around it. You should be aiming to give them a cool or warm blast, depending on what’s most welcome at that time. If heating or cooling is malfunctioning and impossible to fix for inspection time, place fans or portable heaters strategically so they don’t get in the way but still do the job. You should always take care to remove and protect anything precious or valuable before you open your house up to strangers – just in case one of them is light fingered. Check with your insurers about your coverage for an open inspection and if you need to do something extra to stay protected. You can take items with you if you’re leaving the premises for the inspection, or lock them up in a safe or secure cupboard or drawer. If you don’t have an area you can lock away, hide them in the back of a wardrobe or somewhere out of sight and mind. Agents usually record the details of people coming through your property, to deter thieves and provide some accountability if anything ends up missing or damaged. However this isn’t a perfect system and shouldn’t be relied upon. Make sure your property is safe for people to walk through and only let people into your house at the specified inspection times. It’s better to cancel than invite disaster! Have the information about the property available at the inspection. Though most buyers don’t get to the negotiating stage during a walk through, it pays to be ready with all the information a visitor might want. Work with your agent to have any relevant paperwork (renovation history, council rates, rental appraisals, body corporate fees, pest documentation, approvals for further development) in the property ready to be reviewed or go home with serious parties. The less buyers have to ask, they more at ease they’ll feel in the property and the more time they’ll be able to spend imagining themselves in it. And just in case someone decides to snap your property up on the spot, you’ve got all you need to proceed with the discussion. Some family photos can be a positive aspect because it allows other families to imagine themselves in the house and it does create a homely feel. But too many personal photos and you will scare buyers away, as then they can only imagine you living there and they feel out of place in someone else’s home. Remember, you are trying to make it feel like their home, not your home. So it is a good idea to try and hide away your personal photos during open homes, unless they cover up an ugly wall or leave a trail of wall screws behind. Perhaps try and hang generic artworks or prints in their place for the day. No one wants to see your overloaded garage or shed. It makes buyers think that the house is small that not much can fit in the garage. If you utilise some good storage options like floor to ceiling cupboards, tools hung on the wall, etc. this can really help show how much you can fit in. An over cluttered garage doesn’t allow the buyers to see the full potential and space in the garage. While you are at it, it is always best to make sure your house isn;t too cluttered as well, the more living space you allow, the larger the house looks and feels which is much more appealing to the buyers. Unless it is too hot outside, always open up the verandah doors to let the inside living area flow out to the outside living area. This allows the whole space to feel a lot more open and spacious. This makes the whole home feel a lot bigger. No one wants to see a dirty, unused pool. They will always leave wondering “what was on the bottom of that pool.” A dirty pool will always make them feel like the pool is too much maintenance and takes too much time to clean. A pool is such an advantage point at an open home, so make full use of it. Chuck the kids some pocket money to clean it and get all the leaves off the bottom. You want buyers to see the pool and not want to leave it! It is always good to have some soft background music playing during an open home. It makes the home feel more inviting and makes the buyers feel like it is a good place to entertain their friends and family. Don’t play the music too loud, you want it soft enough that you can only just hear it in the background. You don’t want the music to be the most noticeable thing in the room. Play very generic music or recent music, don’t play all classical or all one singer. Now would be a good time to take the dog for a walk. While your house is getting the once over, you should leave potential buyers to wander your halls unencumbered and relaxed. Coordinate with your agent and be ready to head out for a short time, taking any other family members or inhabitants with you (including the pets). Have a timetable of all planned inspections somewhere central and a copy to take with you. Have a bag ready so you can leave quickly (this is also handy for any unplanned inspections). Don’t forget to do a quick pass through on the way out, clearing away any new messes or misplaced objects, like toys. Being away during an open home allows the buyers to feel more at home, rather than in somebody else’s home. It also allows the agent to take control and work to their full potential, without worrying about being watched by the vendor. Also, if a buyer is wanting to start negotiating a price with the agent, the agent can call you to let you know your options, rather than the buyer expecting an answer then and there. Don’t worry, all offers received must be presented to you by the agent and all organised agents will have the paperwork ready with them if the offer is considered within reach of a sale. If you don’t want to leave entirely, consider setting up an area in the house or yard that can act as a retreat for you while buyers explore. This way you’ll be around for a chat if people want to ask you about the home or the area, but not so close people feel they can’t browse in peace.